Four Page Funeral Programs are another type of funeral program templates that enables you to add more information about the person including family photos, long life history and other order of service details. Start Editing any of bellow Four Page Funeral Programs Templates to easily create and print Four Page Funeral Programs that will give you 8 printed sides. You can print on 8.5 x 11 US Letter Size Paper. Often we use funeral programs to present the information to guests about our loved-one’s life history and other informations. 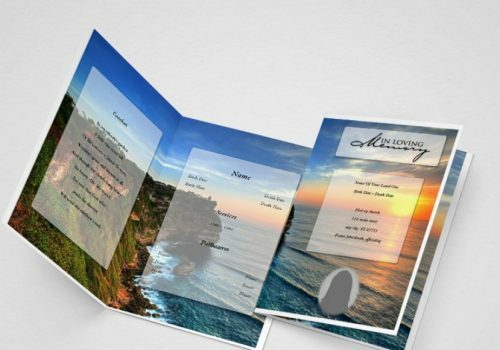 Four Page Funeral Programs are very good option to create editable Four Page Funeral Programs online. 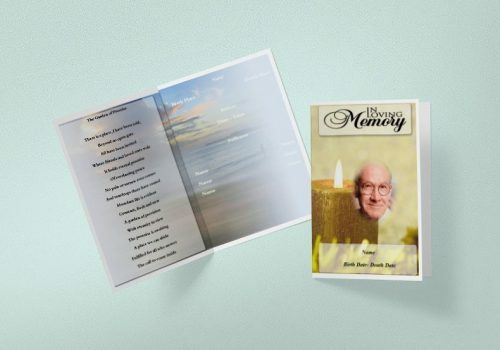 Four Page Funeral Programs enables 8 sides which can be used for Front Cover, Back Cover and other information in inner pages such as Family Collage photos, Funeral Order of Service details and other related information. 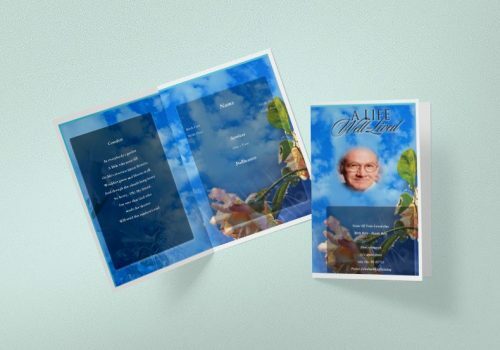 We have other more options to create funeral templates such as half page funeral programs, trifold funeral programs, tabloid funeral programs and obituary programs.